Network, make valuable connections, share views on the latest industry trends and enjoy a tour in the iconic HEINEKEN Experience. Join us at the HEINEKEN Experience Center for an exclusive gathering of Hardware Agilists across industries! Rapid advances in technology continue to be a disruptive force in today’s marketplace presenting new challenges and opportunities for product design to gain a competitive edge on Agile. Join us in Amsterdam for 2 days of networking and knowledge sharing and hear how leading businesses are harnessing the power of Agile to get ready and compete in today’s digital world. With special package deal you can combine your visit at the event with a course that certifies you as Hardware Agilist. Robin’s expertise spans over twenty years of experience in systems engineering, software development, and IT with the focus on Agile software development across multiple business areas, including command and control, satellites, and submarines. She has been actively supporting and leading Agile programs execution at scale both domestically and internationally for the last fifteen years and has multiple certifications, including Certified Enterprise Coach, Scaled Agile Program Consultant, Certified Scrum Practitioner, CSM, CSPO, PSM, PMP, PMI-ACP, INCOSE Certified Systems Engineer, and ITIL Practitioner. She actively coaches and trains teams through in-person coaching, agile workshops, and virtual training classes. She leads the Lockheed Martin’s Agile Community of Practice (CoP) and Center of Excellence (CoE) and is a highly valued speaker, known for her ability to enlighten and inspire audiences. Arjan is an experienced, PMI PMP and PSPO-I certified Project Manager at NXP, with 15+ years of experience in complex hi-tech semiconductors product creation mainly for cellular phone radio applications, like GPS, cellular base-stations and WLAN. Over the years, as products became increasingly complex, the project organization’s complexity increased significantly. To adapt to this Arjan started experimenting with Scrum in 2013 and is now enthusiast member of the team in his organization leading the full transformation to the Scrum way-of-working. Solco is an innovative spirit with a passion for technology, co-creation and sustainability. Using both his commercial and technical background, he has worked to improve the innovation management at Damen, a large multinational manufacturer of commercial ships. Setting up portfolio management, ideation processes and coaching a diverse set of teams using lean and agile ways of working. Now he’s using this experience to create a new way of realizing ships. RIPL uses new ways of working to bring innovations to the maritime industry. Experiments have shown exciting potential and now RIPL is looking to disrupt the way ships are made. In this presentation Solco, as co-founder of RIPL, will go into detail about how they aim to do so. Entrepreneur with a passion for disruptive sustainable innovations. Graduated in Marine Technology – Ship and Offshore Hydrodynamics (MSc) at Delft University of Technology. Using both my technical and teamplayer skills to build a new company. Skoon Energy B.V. (“Skoon”) is a scale-up company with the mission to accelerate the energy transition by setting up a network of versatile swappable batteries, to share, rent and lease. The focus of Skoon is to build a trusted community marketplace for businesses to offer, discover, and book energy storage for mobile and/or temporary applications. Containarized energy storage can be used on ships, festivals, construction sites, electricity grids, etc. It can be applied to deliver peak power demand, or as a replacement of fossil-fuel based energy sources. Managing a network of large batteries enables Skoon to offer energy solutions to a wide variety of customers, at any price point. Ralph Hofman has 20+ years of experience helping large organizations in the areas of outsourcing, software development, IT governance and value management. Ralph has been helping large organizations in their Agile transformations for more than 10 years. He has extensive experience applying Agile principles and working methods to improve development of software, consumer electronics, semiconductors and high tech machines. He has experienced the advantages of iterative product development that include the development of hardware and software components in the pharmaceutical industry, the semiconductor industry, and more. Ali helped them find their own Agile Way of Working, as ‘the standard practices’ do not always apply ‘right out-the-box’. Davar is a multidisciplinary professional with more than 16 years of experience in variety of IT and business roles. He is proficient in areas such as strategic management, IT management, change management, software engineering, lean and agile methodologies and data analytics. Davar has supported a hardware microchip producer to adapt and scale the Agile way of working. As a result, they improved their quality and time to market drastically and managed their budgets and resources better. Davar’s extensive experience combined with his exceptional educational background has made him an ideal trusted partner for enterprises seeking to transform, adapt, grow and innovate in the new era of digital economy. Marijt is an Agile coach at the Agilitymasters. She has more than ten years experience in setting up Agile and Lean in complex and international organizations. Marijt is decisive, enterprising, result-oriented, socially skilled, extroverted and involved. She coaches and motivates other project members within the team to help develop a successful product. Attendees who pass the certification exam will receive Certification for Certified Hardware Agilist (CHA) bestowed by BlinkLane Consulting. The Heineken Experience is an attraction located at the Heineken’s first built brewery in Amsterdam’s city centre. The venue offers amazing views looking out to Amsterdam, and during the breaks you can sit relaxed on the roof terrace and admire the view. We arranged some hotel options for you so you can book your stay with discount. Book your stay now via the button below. Trams 7, 10, 16 and 24 stop around the corner. 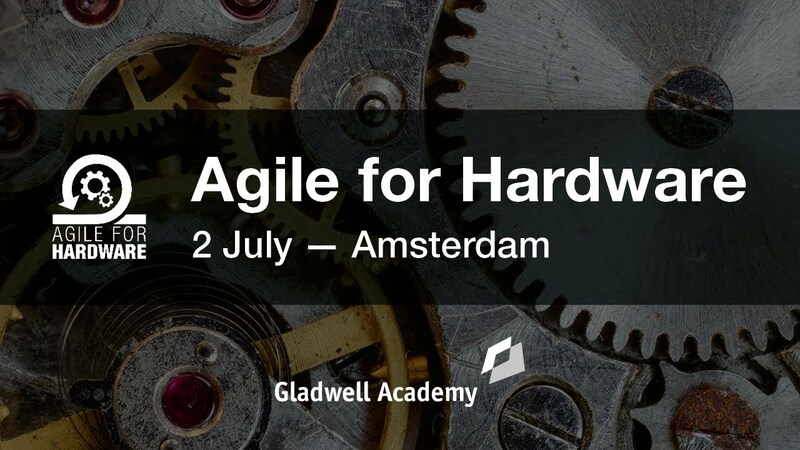 Join us in Amsterdam for 2 days of networking and knowledge sharing and hear how leading manufacturers are harnessing the power of Agile to get ready and compete in today’s digital world.